If you want the best bus leasing and rental Arizona has to offer, you need to see what we have for you at National Bus Sales. 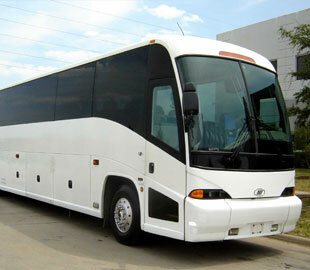 Most of our buses for lease come with A/C, lifts, audio/video components, and reclining seats. If you have a special option you need in your rental bus, let us know and we will see what we can do for you. We have been in business for over 20 years because we value our customers and their needs. We will do whatever we can for you. With school buses, motor coaches, and shuttle buses ranging from 14 to 84 passengers, we are sure to have something in our inventory for you. National Bus Sales offers the best bus leasing and rental options in the country, period! We offer daily, weekly, monthly and yearly bus rental and lease contracts, so you can get exactly what you are looking for. We have customized financing to meet your needs, and we guarantee your satisfaction. 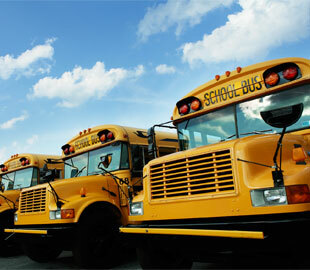 National Bus Sales requires a $2 million liability insurance plan on all rental and leased buses. This ensures your protection just as much as ours. If you do not have insurance at this time, let us know and we can arrange that for you. We will do whatever we can to get you into a vehicle. To rent or lease a bus from National Bus Sales, you must have a licensed driver ready to take over the vehicle. We cannot provide one for you. We require a security deposit for our contracts, but we have flexible payment options that we can work out for you. If you would prefer to finance a bus instead of leasing it, we have a finance department to help you out. Fill out the credit application on this page, and we will see what kind of terms we can secure for you. At National Bus Sales, our customers are our top priority. Contact one of our Sales Managers @ 800.475.1439 to learn about the bus rental and leasing options we have available.